Other than that one crooked towel (gah! ), everything is perfectly placed, spaced and set up for success. Let’s take a closer look. At the top we keep things that we’re not accessing very often, like seasonal items and extra products. 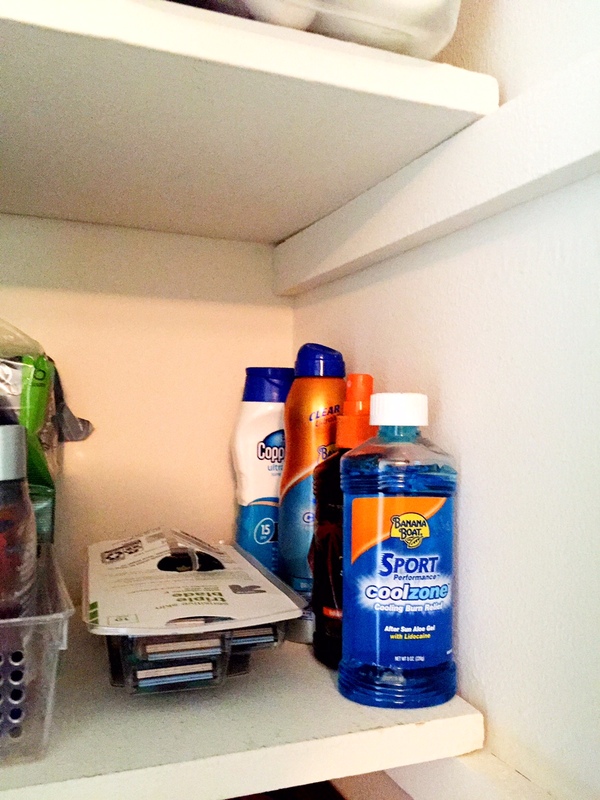 I realize this shelf doesn’t work with the one-in, one-out rule I just preached, but when you’re 5’1″, you have to make things easy to pull down and look through unless you want to waste space in the back of the shelf or have an avalanche of products fall on your head. These two shelves make me happy with excitement (not kidding). They function so well for both Matt and I. We can see everything we have at a glance and can grab something right off the shelf. 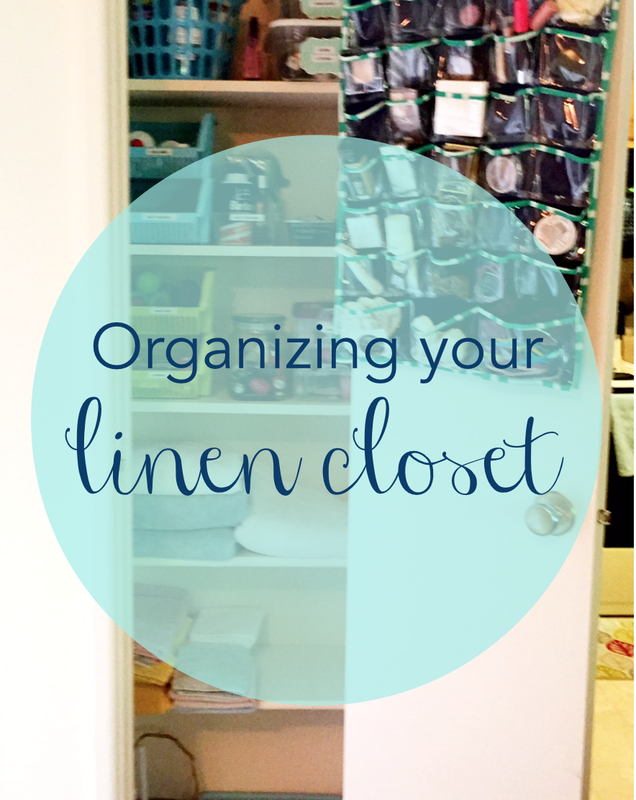 This type of one-step process can really come in handy when you need to grab things quickly. For example, when you need to grab the hairspray with one hand while holding your curls perfectly in place with the other or when your razor head is dull but you’re already in the shower so you need to make a mad dash to grab a new one before you get the floor all wet. Yes, these things happen to me, and yes, being organized make these situations easier to deal with (don’t pretend you’ve never been there before). I keep all of our sun screens and aloe out on the shelves this time of year because we’re accessing them frequently. When we’re in hibernation for the winter, they’ll go back up on the top shelf in the appropriate shoe box. 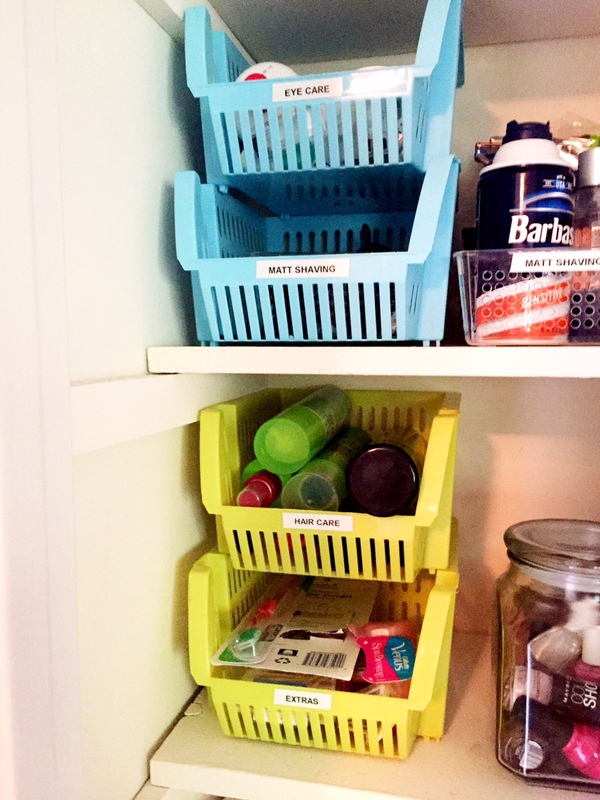 These stackable bins are among my all-time favorite organizing products. 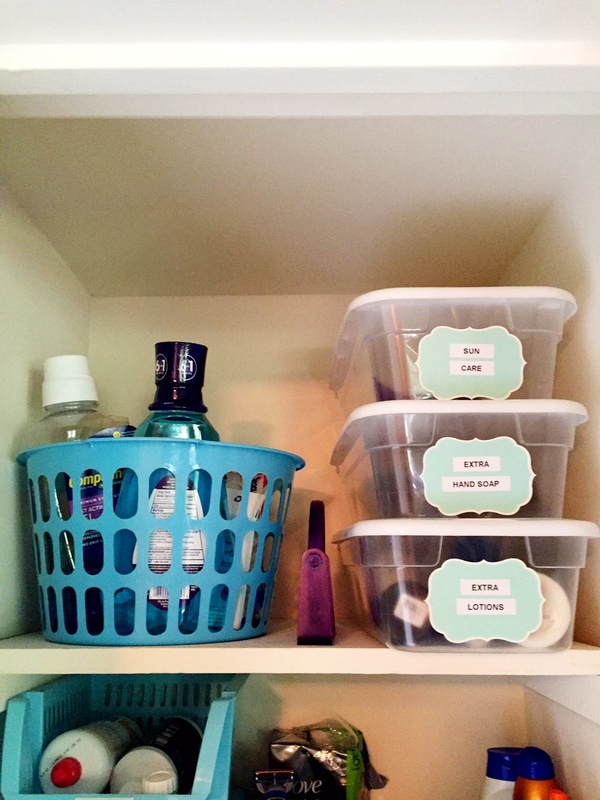 They help to keep like items together and contained, yet make it easy to see what I have and easily access it. 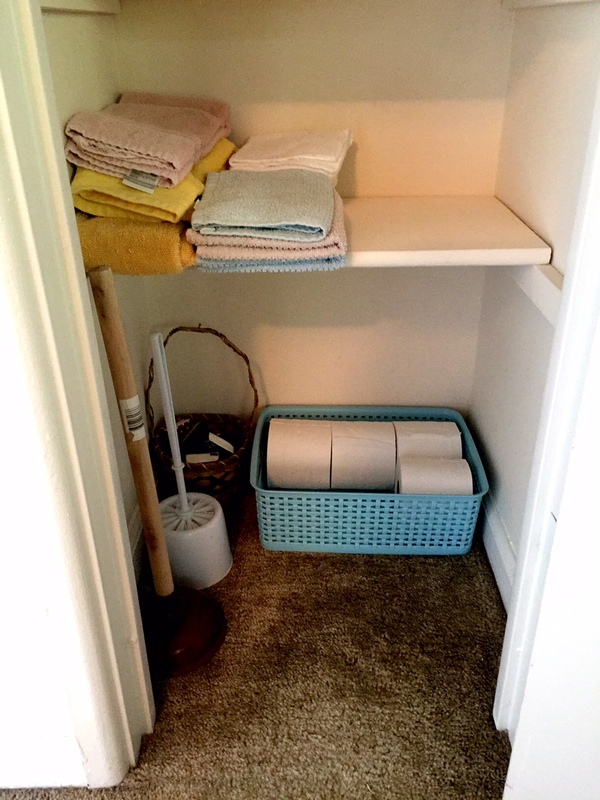 Matt can take his shaving bin out of the closet and bring it in to the bathroom when he needs it, and can easily put everything back when he’s done. The bins I’m using here are from Joann’s several years ago, but you can purchase similar bins at the dollar (doll-hair) store. Down below that I keep all of our towels, hand towels and wash cloths (most of which were dirty at the time I took these photos). 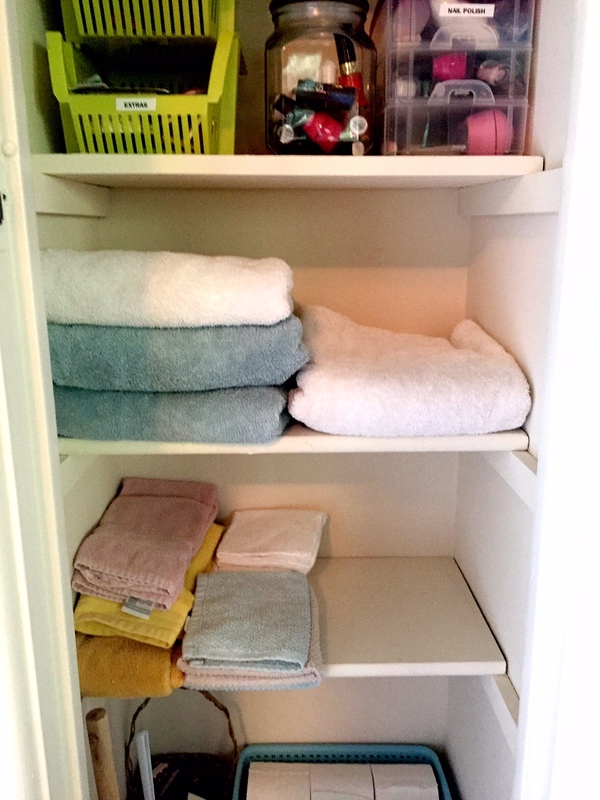 I love storing my towels with the fold in front like I’m living in a spa or a fancy hotel. If you’d like to see how I fold my towels to look like this, Iet me know! At the very bottom, I keep our most glamorous items, like toilet paper, our plunger and our toilet bowl cleaner. The little basket all the way in the back corner holds extra travel tissues that we can just grab and go. 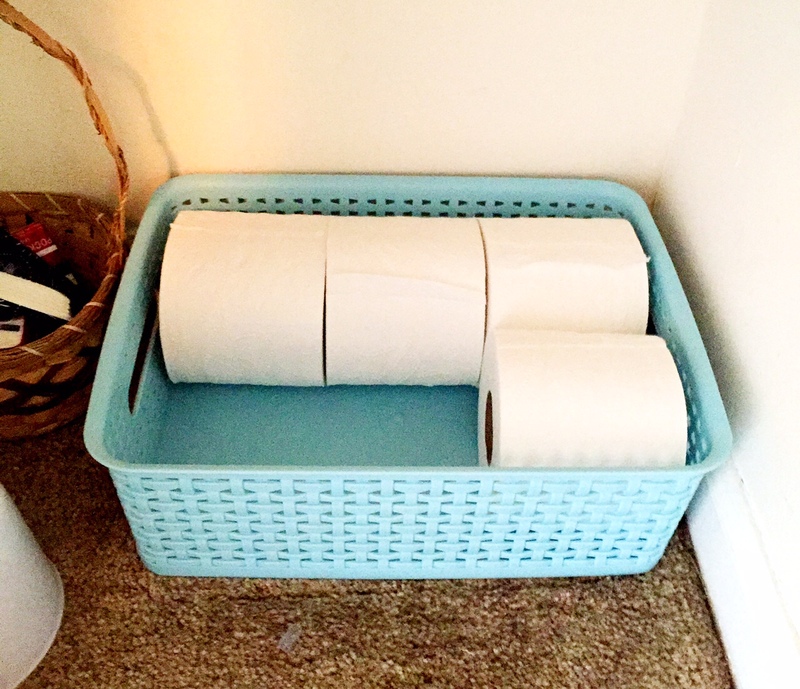 This bin is the perfect for keeping our toilet paper from rolling away on the floor and makes the rolls easily stackable to maximize space. I love it so much! Again, this one is from Joann’s, but they sell similar versions at the dollar store and the Target dollar spot can sometimes have shallow baskets like this as well. 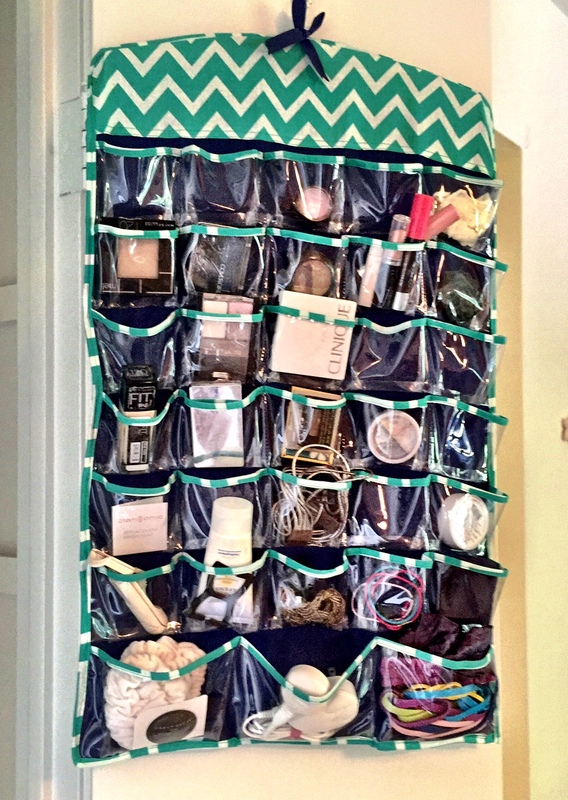 Lastly, I keep all of my extra girly items tucked away on the back of the door in this jewelry organizer turned make-up caddy and hair accessory home. 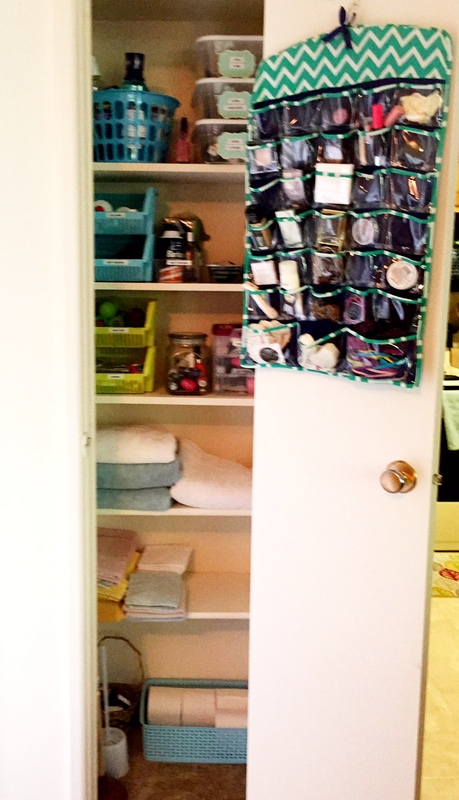 It maximizes the space on the back of my door, and lets me see everything I have so I can quickly find what I need, grab it and put it back. 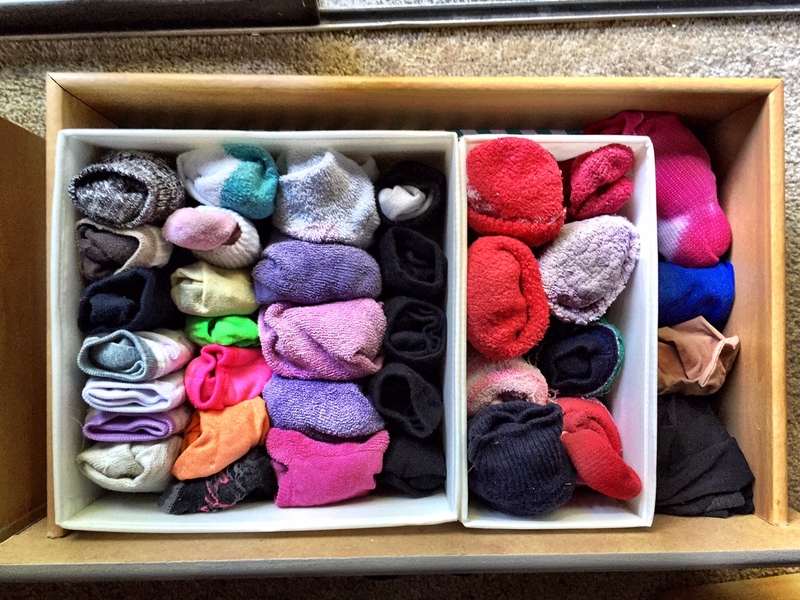 Remember, when you’re organizing, it’s best to keep the end result in mind: make this easy to put away when you’re done. If you try to use the one-in, one-out rule, you can make any organizing project a continued success. If you set up your spaces with the one-in, one-out rule, please share with me! I love getting new ideas and organizing inspiration from other bloggers and internet crusaders like yourself. 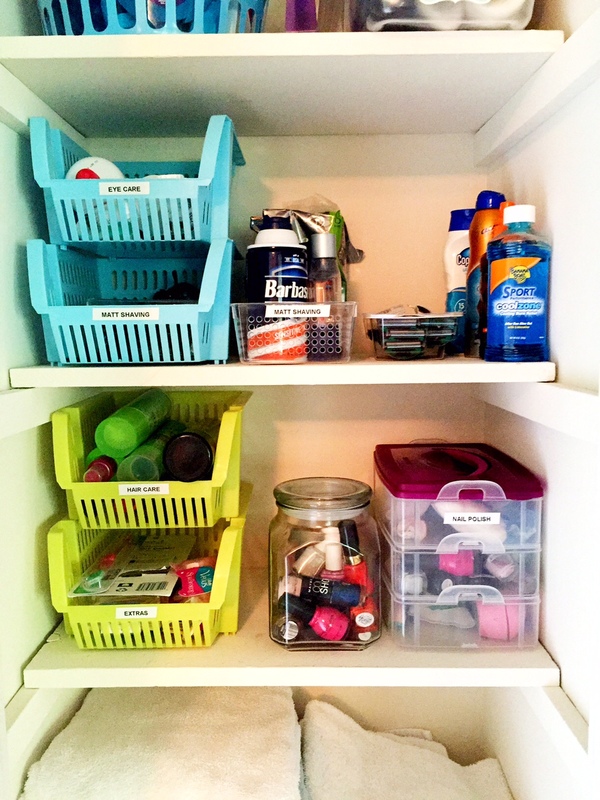 If you’re into organizing and want tips and tricks on the reg, follow me on Instagram, Facebook, Pinterest and don’t forget to subscribe so you never miss a post! Catch you next time!